Damage to your golf course is something you want to prevent. And RPR helps you do just that. RPR is a regenerating perennial ryegrass that develops determinate stolons. It is the first perennial ryegrass variety with this particular quality. Before the introduction of RPR, only smooth-stalked meadow grass presented this advantage. 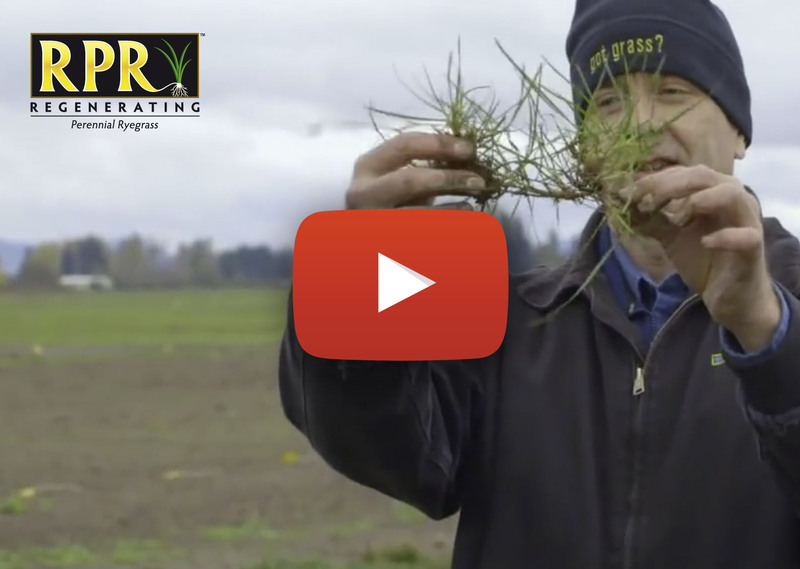 The determinate stolons make RPR many times stronger than other perennial ryegrass varieties, while still growing as fast. The outcome is a regenerating perennial ryegrass with excellent wear tolerance and close mowing tolerance. Combined with fine-leaved perennial ryegrass, RPR is very suitable for fairways and tees. More about 'determinate stolons' of RPR, click here! Golf tees and fairways are being used more and more intensively, with the associated risk of more damage to the golf course. Recovery is often all but impossible as ordinary grass mixtures are not self-regenerating. Enhancing existing mixtures with RPR technology results in speed and strength, and golf courses that are as strong as iron. Barenbrug offers two different mixtures that can both be mown to 10 mm without adversely affecting the grass’s strength or self-regenerating ability. If there’s a good correlation between your soil and your fertilisation strategy RPR will establish at an impressive rate, enabling you to save a lot of time in comparison with other grasses. RPR creates a sward that is ready for use in less than no time. It’s stronger and more resistant to diseases. RPR germinates very quickly and is as strong as smooth meadow grass, reducing the risk of the establishment of the undesired annual meadow grass. The advantage of this is a denser, better-rooting sward that requires less fertilisers and water. Trials have shown that the use of the new Bar Extreme RPR mixture can decrease the growth of annual meadow grass by 20% within two months after seeding. Because RPR can be seeded so early, you can enjoy a green sward for longer. The mixture enhanced with RPR technology combines strength and speed, minimises damage to your golf course and guarantees a year-round dense sward for your tee or fairway. For more information about Annual meadow grass, click here! The rooting and determinate stolons of RPR make for a much stronger sward and the grass also grows a lot faster. There are some things you just have to see for yourself to believe them. Stoloniferous perennial ryegrass was a good example of something like that, but now that I’ve seen RPR I really am a believer. RPR stands for Regenerating Perennial Rryegrass that spreads horizontally via determinate stolons and is as strong as iron. RPR is the first perennial ryegrass with this specific characteristic.